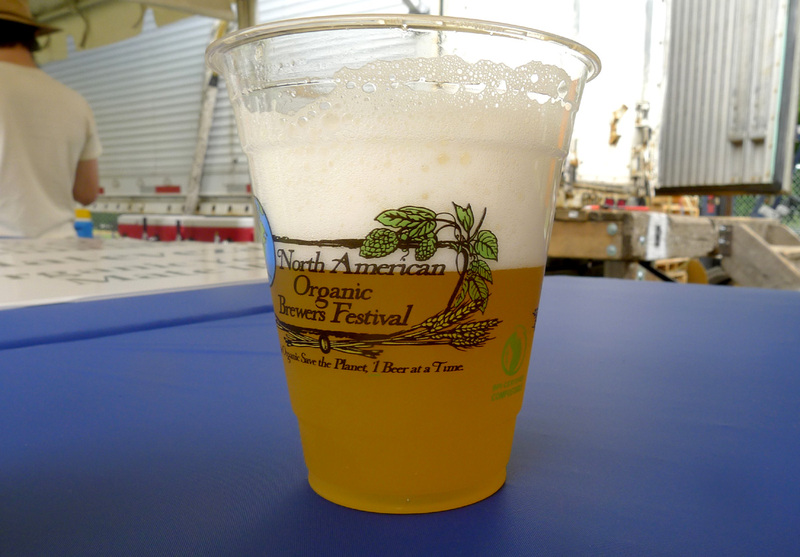 Beervana Buzz: Get Ready for Organic Beer! If you didn't already know, we have entered the outdoor festival season. 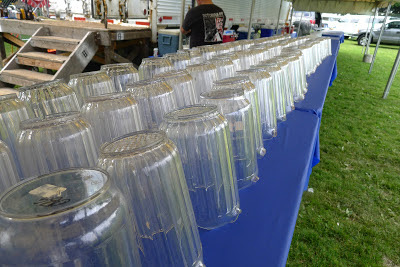 The recent Fruit Beer Festival was arguably the kickoff, but there are so many smaller events happening all the time that the calendar has become mostly a blur. 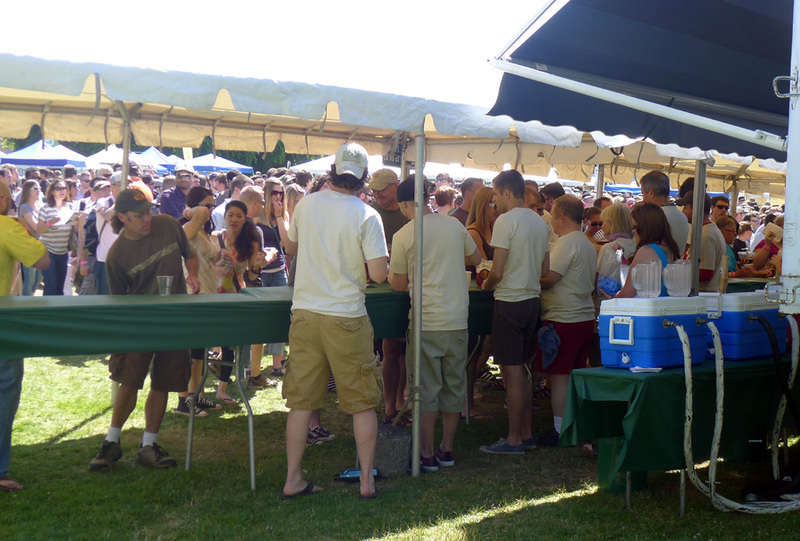 Next week's North American Organic Brewers Festival, set to run June 27-30 at Overlook Park, has established itself as one of the premier outdoor events of the summer. That's a difficult hill to climb for any June event because the weather often refuses to cooperate. Yet the NAOBF has been successful. So successful that they've expanded to four days this year. 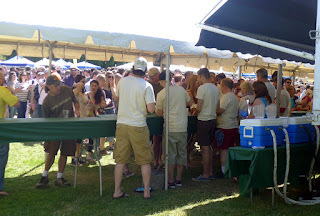 The event was founded in 2003 by Craig Nicholls, the founding father of organic brewing in Portland. Nicholls worked at Alameda Brewing on Fremont and later at Halling Brewing in Gresham before opening the now defunct Roots Organic Brewing in 2005. The NAOBF took a couple of years off while Nicholls worked on Roots, then returned in 2006. It moved to its current location in 2007. According to the event program, organic beer sales were up $66 million in 2012, an increase of nearly 25 percent over 2011. That's an interesting stat, and basically suggests that brewers and beer consumers are increasingly comfortable and committed to organic beer. This is arguably good news for the planet, as organic ingredients are less damaging to the environment. The NAOBF puts a lot of effort into advancing sustainable values across a wide spectrum, and Nicholls' efforts have influenced others. The festival glass/cup is made from compostable cornstarch and they may go to glass next year. Electricity comes from biodiesel generators. Food vendors use compostable plates and utensils. They generated 175 lbs of trash last year, which is next to nothing for a festival of this size. Aged in whiskey barrels previously used by Hair of the Dog to age Cherry Adam. The beer is apparently heavily influenced by cherries the Dog left in the barrels. Can't wait to try this one. An authentic Belgian beer in gluten free, organic form. This beer is apparently the color of port, tawny port, I assume.I'm interested to see how fragrance (pine seeds) balances with the yeasts and malts. I'm a fan of rye beers, so I have to give this one a try. They say it has aromas of citrus blossoms and grapefruit in a spicy rye finish. We shall see. I'm always searching for low alcohol beers that have flavor and character. Could this be a good one? It's brewed with a bit of chocolate and black malts to give it a little color, hopped with homegrown Willamette hops for character, fermented with English yeast. Could be a winner. I've had this beer many times and it's terrific.Too bad it's a seasonal and usually only available this time of year. The combination of Cascade, Amarillo and Ahtanum hops make this beer. Now that Laurelwood will be contracting some of it's production out to the Craft Brew Alliance, I hope to see more seasonal offerings like Green Elephant at the pubs. This might be a decent session IPA...or not. They use organic malts along with Bravo and Cascade hops to create a classic Northwest IPA. At only 5.1%, this is definitely worth a try. 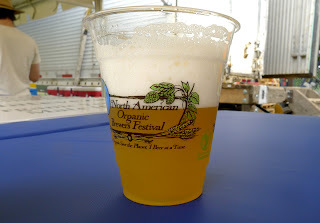 This classic, refreshing style is drinkable anytime, but particularly if we get good weather for the festival. Two Kilts has developed a solid reputation and is getting a new brewing system to pump things up. Anyone who doesn't know about Uinta might be inclined to write them off because of their Utah roots. Don't be naive. These guys brew some of the best beer around. You can find BABA around town in bottles, maybe even in cans. I've enjoyed it at home and look forward to sampling it at the festival. I'm breaking my own rule...oh well. With the extra day, I expect to attend on Thursday and Friday. Slacker schedule. Festival hours are noon to 9 p.m. Thursday through Saturday, noon to 5 p.m. Sunday. Get there early for the best selection and shortest wait for beer. Oh, I'll be filing an updated report Friday morning.